Ireland is testing ground for Norwegian’s first flights from Europe to Canada. Belfast gets two massive new hotels – all in the one week. Ireland’s got the Wild Atlantic Way – and Washington State has its own scenic drive with the Olympic Peninsula, handily situated beside Aer Lingus’ new destination of Seattle watch here. Cathay Pacific Airways has become the second airline to operate the A350-1000, the world’s newest long range widebody airliner. The airline took delivery of the aircraft at an event in the Toulouse home of Airbus watch here. Following the lead from the cruise industry, Emirates has the airline industry’s first virtual windows, with projected images from outside the aircraft, in a first class middle suite watch here. A man who couldn’t take his prize of a flight over Amsterdam – way back in 1935 – finally achieved his dream trip, in a vintage DC-4, with the help of his great-grandson and KLM watch here. World Cup fever continues apace – and Qatar Airways is showing off what’s available to supporters from around the world at its pavilion at the Fifa Fan Zone in Moscow watch here. Tourism Ireland is showcasing the best of Dublin music and food watch here. A busy week in Ireland for low-cost carrier Norwegian, hosting Irish media at a dinner in Drury Buildings, and revealing to Travel Extra its embargoed plans for its first-ever service from Europe to Canada, which will operate from Dublin to Toronto’s Hamilton Airport, and a route tried in the past from Ireland by Flyglobespan. The service commences on March 31 next. Full story here. 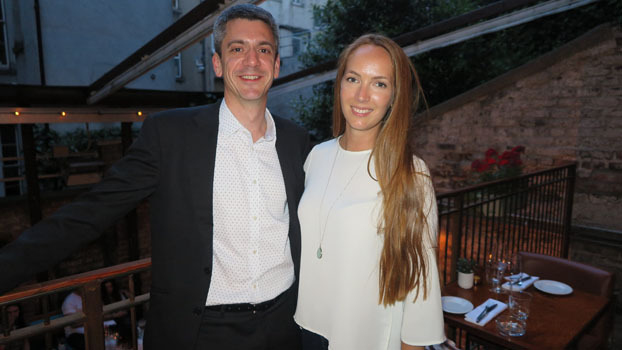 Pictured at the Dublin event are Philip Allport, Director of Communications and Public Affairs for Britain and Ireland, and Natalie Wilson, Senior PR Manager, Britain and Ireland. Just hours later, Norwegian’s Natalie Wilson took a small group of national media, among them Travel Extra‘s Mark Evans, on a fam trip with a difference – a day trip to New York’s Woodbury Common Premium Outlets, situated near its Stewart International Airport, to which it flies twice daily out of Dublin. The airline is actively promoting shopping day trips – but hats off to the Asia shoppers who flock to the US mall from as far away as China and Taiwan. 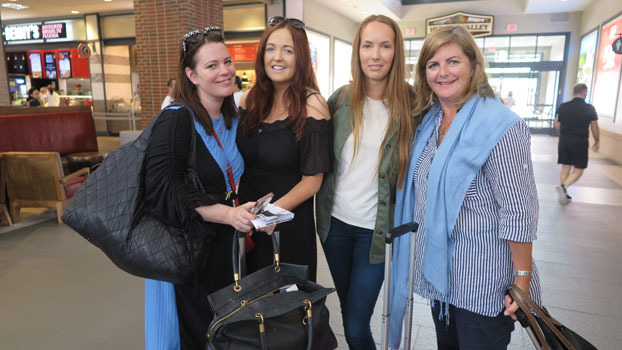 The Irish group touched down in the US at 11am local time, and flew home 10 hours later. Some of the group, pictured here, are journalist and stylist Corina Gaffney, Sunday World journalist Denise Smith, Natalie Wilson, Norwegian, and Madeleine Keane, Sunday Independent, at Woodbury Common’s Market Hall. See more pictures here or connect with the album on Facebook. 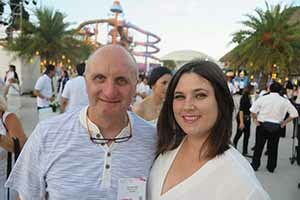 Brendan Barry of Discover Travel was among the tour operators hosted by the Tourism Authority of Thailand along the relatively unfamiliar south eastern coastline following TTM Plus in Pattaya. The group visited some undeveloped local tourism projects which are attempting to bring Pattaya visitors out into the hinterland and high end hotel properties on Ko Samed and Ko Chang. Separately, the media group visited Neeracha Hui Wongmasa and Buranakan Jumbo Chatupornpaisan of the Thai Ecotourism & Adventure Travel Association, a group with 60 members throughout the country and sampled a cycle through a coconut platnation in Takientia and a walk through Naklua fishing village. Thailand had 68,982 visits from Ireland in 2017. Photograph shows Brendan barry and June Delaney, the Irish born supplier form Onyx at TTM. See more pictures hereor connect with the album on Facebook. OTA Alpharooms has launched its first ever TV ad campaign – and it’s exclusively for the Irish market. The company said the Irish market is one of its strongest, with hotel-only bookings up 64pc, hotel and flight bookings increasing 37pc and hotel, flight and transfer bookings rising by 59pc. Cassidy Travel is seeking a retail manager for the Blanchardstown Travel Shop. Candidates should have a minimum of three years experience in a travel retail of wholesale environment, an inspirational , motivational and approachable leadership style, proven sales experience and ability to drive profitability, GDS knowledge in a sales target environment. Email John Cassidyor John Spollen. Travel Solutions added Sierra Nevada a new winter destination to their Bulgaria centred ski programme. 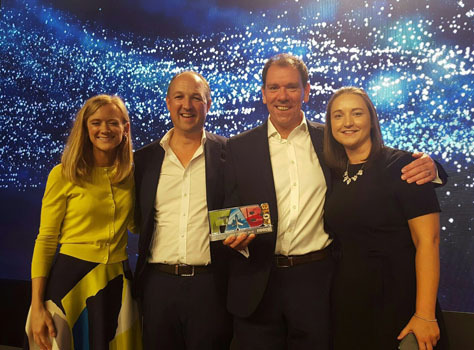 Kathleen Maher of Tour Amerrica accepted Best Use of Social Media Award at the Social Media Awards 2018 in the RDS in Dublin. travel agents who make at least three new bookings on any 2018 U by Uniworld voyage before September 30, will receive a free balcony cabin cruise for themselves on any 2018 or 2019 U by Uniworld voyage. Irish tourists are the second grumpiest in the world and most likely to leave a negative review of a hotel they have stayed, according to RewardExpert – a service that points people to credit card and travel rewards schemes. Spaniards emerge as moaners too, with Russians and Lebanese people found to be happiest. DUP politician William Hay is still being denied a British passport. Born in Co Donegal in 1956, he’s been told he will have to undergo naturalisation. He currently has an Irish passport. An Indian forest ranger who tried to pose for a selfie with a rock python was, unsurprisingly, almost strangled by the snake. A bronze statue of Cristiano Ronaldo that many thought looked more like Ireland’s Niall Quinn has been replaced at Madeira Airport. Gardaí have been called in to check on street entertainers after complaints from Killarney councillors that members of the public were being insulted, foul language was being used to tourists, and some buskers “lowered the tone”. Tourism in Belgium rebounded last year to levels seen before it was hit by terror attacks in 2016, the country said. Turkey hosted 11.8m tourists (up 30pc on 2017) in the first five months of the year – a new all-time high. Protestors from Arran Països Catalans chained themselves briefly to a Gaudi sculpture in Barcelona, before being unwillingly cut free. They say they are protesting overcrowding and unsustainable tourism and claim the issue is not “tourismphobia”, it’s class struggle. Tourists are returning to the areas around Fukushima Daiichi nuclear plant, seven years after the tsunami that caused a nuclear catastrophe. Inbound Chinese numbers to Europe rose 9.5pc this spring, with Turkey, Ukraine and Hungary showing the greatest growth. Irish visits to Spain were 450,457 to April, up 2.4pc in the first four months of the year. Marqette at Dublin Airport’s Terminal 1 has been named the Airport Food Hall of the Year at the Moodie Davitt Airport Food and Beverage (FAB) Awards for the second year in a row. 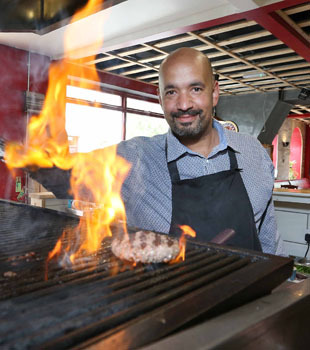 Marqette, operated by the Michael JF Wright Hospitality Group, was shortlisted for the award from hundreds of entries. The award was presented at the seventh annual Airport Food and Beverage (FAB) Conference & Awards in Helsinki. Dublin Airport Head of Value Added Services Kate Flood, Marqette Head Of Commercial Development Michael Moran, Marqette General Manager Michael Thornton, and Dublin Airport Concessions Strategy Executive Sarah McGinn are pictured in Finland. British pub chain JD Wetherspoon – run by Brexit-supporting Irish boss Tim Martin – is to sell more British and non-European drinks. It said the move was part of a push to make the group more competitive ahead of Britain’s departure from the EU’s customs union. A total of 9.7m cases of Irish whiskey were sold globally in 2017, up 10.6pc on the previous year, according to figures compiled by International Wine and Spirits Research. STRGlobal reported RevPar across Ireland’s hotels rose by 16.1pc for the year ending to end May, average daily room rates up 12.7pc to €144.55. Dublin up 13.6pc to €146.96, and elsewhere up 18.3pc to €92.70. Occupancy in May was up 1.2pc to 90.5pc, and up 5.3pc elsewhere to 80.2pc. Elsewhere, average daily room rates across Europe were up 1.5pc to €113.35. Britain saw its average daily room rate suffer its first year-over-year decline since October 2016. Belfast saw not one but two big openings last week – the towering Grand Central Hotel (300 bedrooms) – with Ireland’s highest bar, at 27 floors up – and AC Hotel Belfast (188 bedrooms), which is part of the city’s £275m City Quays development, and is the first AC Hotels by Marriott property in Ireland. 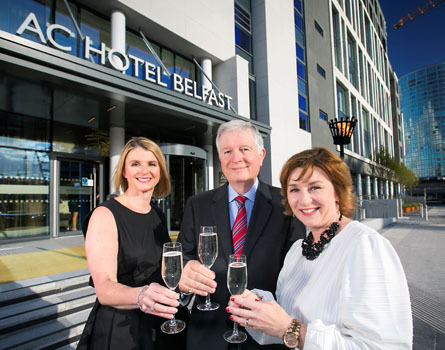 General Manager Lisa Steele, Belfast Harbour Chairman Dr David Dobbin and Director of Franchise Sales, Marketing & Revenue Management for Marriott International, Deirdre O’Brien, are pictured at the AC Hotel launch. Carra Shore plans for a 10-storey 421-room hotel beside the existing Clayton Hotel in Clonshaugh, near the junction of the M50 and M1 motorways, were given the green light after objections by residents were withdrawn. For Hastings Hotels’ Grand Central launch and interior images see more pictures here or connect to the album on Facebook. Down south, FBD Hotels and Resorts’ Faithlegg Hotel in Co Waterford celebrated the completion of a €1.5m rebrand and refurbishment programme. David Kelly, Chief Executive of FBD Hotels & Resorts, and Liam Moran, General Manager of Faithlegg Hotel, were joined by celebrities including Marty Whelan, model Teodora Sutra, 2FM’s Stephen Byrne, Little Green Car’s singer Faye O’Rourke, Waterford hurler Noel Conners and Munster rugby star Jack O’Donoghue. See more pictures here or connect to the album on Facebook. 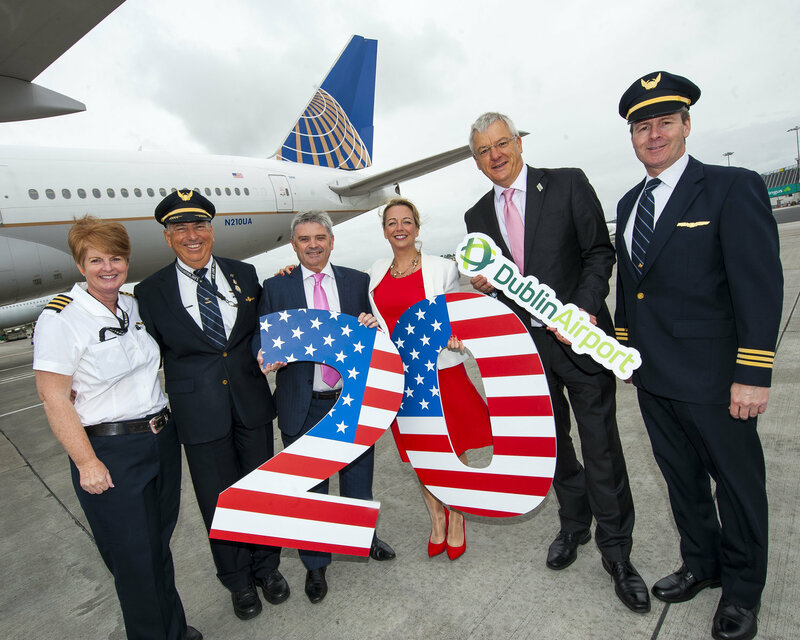 United Airlines continued its celebrations of its Irish services from Shannon and Dublin to Newark with a gate ceremony at Dublin Airport. The airline has carried over 2.7m passengers on 17,000 flights between the two cities over the past 20 years. Bob Schumacher, United Managing Director for Britain and Ireland; Martina Coogan, United Country Sales Manager Ireland; and Jon Woolf, SVP Aviation Business Development Dublin Airport, are pictured before the departure of United flight UA22 to Newark last week. Full story here. The Commission for Aviation Regulation published its decision to provide an allowanceof €269.3m instead of the requested €284m for 23 capital projects in the Dublin Airport passenger terminals, on the apron, and on the airfield, collectively the Programme of Airport Campus Enhancement. Datalex said it is targeting the Travel Loyalty market and it is confident it will again deliver double digit growth for the full year. Willie Walsh told the London Guild of Travel ManagementCompanies’ conference in Dublin: that IAG will not be making all fares available through the GDS and will follow the Aer Lingus model of only using GDS where it adds value. A record 2.9m passengers travelled throughDublin Airportin May, up 10pc for the month and 6pc for the year so far and the 50th consecutive month of growth at the airport. Britain was up 3pc, Europe up 12pc, transatlantic up 19pc, and other international up 23pc. An Taisce opposed a daa application for permanent planning approvalfor Dublin Airport car parks and blamed the airport for comngestion on the M50, DAA said main car movements are earlier in the day than M50 congestion. IASA Career Expo 2018 will take place September 19th at Crowne Plaza, Northwood. Aer Lingus vacancies include a Head of Training to join the Maintenance and Engineering team. Shannon based Eirtech Aviation Services, iestablished a centrefor repairs on commercial aircraft in Belfast under a new limited company, Eirtech Aviation Composites. Alcock and Brown100 Festival will take placeover five days from June 12. Stobart Air is negotiating a three-year extension to its 10-year contract to operate the Aer Lingus Regional service to push the contract out to 2025. Moody’s warned that Avolon’s credit rating is being held backby its troubled parent company, HNA Group. The Wings Club Foundation will honourWillie Walsh, with the 2018 Distinguished Achievement Award. 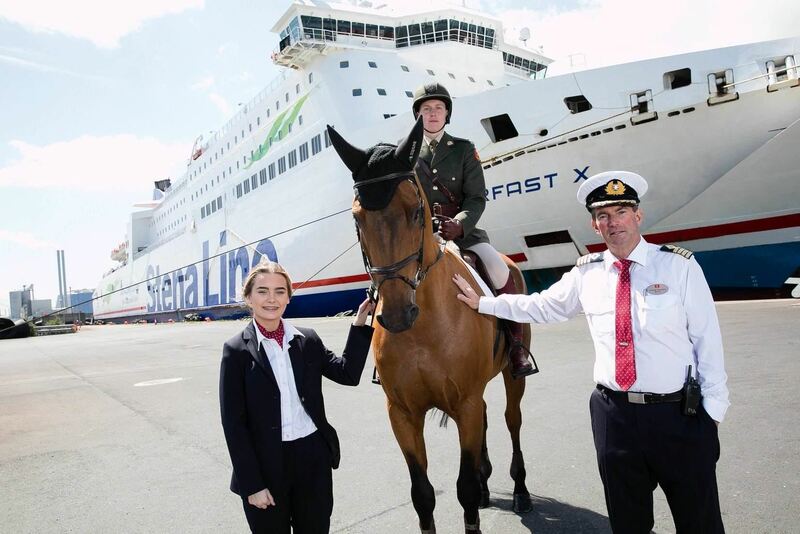 Limerick got an unexpected tourism boost this week, when the MS Deutschland was forced to dock at Foynes. The ship, carrying 500 passengers and 300 crew, had been destined for Galway but was forced to divert to Foynes at short notice due to weather conditions. Celebrity Cruises’ new terminal at Port Everglades in Fort Lauderdale, due for completion in October, is to feature check-in using facial recognition. Suite passengers will get an exclusive lounge, screening area and rooftop terrace. Royal Caribbean’s Mariner of the Seas has sailed into its new home at PortMiami after a $120m makeover. New features include bungee experience Sky Pad, the line’s first Polynesian-inspired, tiki-chic bar, The Bamboo Room, plus laser tag and racer waterslides. Saga Cruises’ Saga Sapphire is to make its final cruise in April 2020. It will be replaced by the 999-passenger Spirit of Adventure. Fáilte Ireland visited Washington DC to promote Ireland as a destination for conferences and meetings. It’s aiming to attract major conferences with up to 12,000 delegates between 2022 and 2026, generating almost €20m for the economy. Tourism Ireland’s Game of Thrones tapestry campaign has won seven awards, at three different awards events. It won a Webby Award in New York, three gold and one bronze award at the Creative Circle Awards, which took place in London, and at the D&AD (Design & Art Direction) awards, also in London, Tourism Ireland won a graphite award and a wood award. 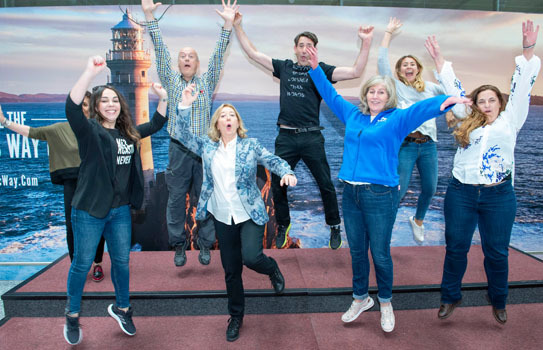 Fáilte Ireland, in conjunction with partner Tourism Ireland, this weekend welcomed a group of Spanish media, who landed at Cork Airport with Iberia Express airlines from Madrid to explore Kerry and Cork as part of a promotion of the region as a gateway to the Wild Atlantic Way. The group are pictured with Pura Gimenez, Tourism Ireland, Madrid, and Josephine O’Driscoll, Fáilte Ireland, at Cork Airport. Senior management at Kerry County Council believe that the county should get more State funding. While Kerry’s population is just over 147,000, it hosts over two million visitors a year. Belfast hosted major international business tourism event the Hosts Global Forum last week. Over 100 leading destination management companies and 100 top meeting and incentives buyers and planners attended the forum, held for the first time outside North America. Titanic Belfast has partnered with the Belfast Titanic Society to mark the 100th anniversary of RMS Carpathia’s sinking next month. The ship, which rescued over 700 survivors from the Titanic, was sunk by a torpedo off the coast of Ireland. An American tourist in his 70s died following what was described as a falling “incident” at the Giant’s Causeway in Co Antrim. Insight Vacations offer: Highlights of Spain 9-day escorted tour, including flights, transfers and 8 nights’ accommodation in central locations, from €2,659 per person sharing, flight cost must be paid at the time of booking, depart September 8. www.insightvacations.com or call 01 775 3803. TUI offers: Dublin to Salzburg, 7 nights B&B 2* Guesthouses Mayrhofen, Mayrhofen, from €439pps, depart July 18. Dublin to Salzburg, 7 nights B&B 3* Hotel Obermair, Mayrhofen, from €459pps, depart July 25. Dublin to Verona, 7 nights B&B 3*Hotel Lago di Garda, Malcesine, from €648pps, depart July 28. Dublin to Verona, Hotel Virgina, Garda, 3*, B&B, 7nights from €641pps, depart August 11. Dublin to Verona, 7 nights B&B 3* Hotel Cristallo, Malcesine, from €698pps, depart August 25. Dublin to Majorca, 7 nights all-inclusive 3* Bellevue Laogmonte, Alcudia, from €729pps, depart August 3. Shannon to Majorca, 7 nights half board 4* Hotel Picafort Park, Ca’n Picafort, from €849pps, depart July 28. Ireland West Airport to Majorca, 7 nights B&B 3* Ferrer Isabel, Cala Bona, from €669pps, depart July 27. Dublin to Majorca, 7 nights half board 4* Hotel Picafort Park, Ca’n Picafort, from €729pps, depart July 24. Dublin to Majorca, 7 nights B&B 3* Ferrer Isabel, Cala Bona, from €659pps. Ireland West Airport to Majorca, 7 nights B&B 3* Ferrer Isabel, Cala Bona, from €669pps, depart July 27. www.tuiholidays.ie, Call 1850 45 35 45 or visit a TUI Store or travel agent. Uniworld Boutique River Cruises offer: Venice & The Gems, 8 days visiting Italy, including flights, airport transfers, all meals and beverages, all shore excursions and 7 nights in a Category 5 stateroom on board the River Countess, was €3,409pps, now from €3,009 per person sharing, flight cost must be paid at the time of booking. Book by 30 June 2018, depart August 12. www.uniworld.com or call 01 775 3803.